Fx trading - do most people fail? I started trading fx 10 years ago when the Australian dollar was rising like crazy (against the greenback). But I lost all my money in my trading account eventually (after I doubled my initial deposit). Then I thought trading was not for me and stopped thinking about it completely. Early 2017, I met a guy in his mid 50s who was semi retired and spent all his time trading fx. I told him my story about losing all my money many years ago trading Aussie against USD. He said ‘if you keep learning and wouldn’t give up, you will get there’. I didn’t really know what he meant by ‘you will get there’ but I started trading again since then. After I failed two more times (with 1 live and 1 demo account), I started feeling I am much better now. I am seriously thinking about putting hard earned money into it again. Hopefully I can make good money this time after I learned from previous mistakes. The question is (to those who have been through this personally): am I just being lucky this time (I have been shorting Aussie against the greenback) or I am getting the hang of it? Thanks in advance for your opinion. Short AUD/USD has been a good trade for a long time, like shorting AUD against the other majors except NZD. What caused you to enter this trade? What will cause you to reduce your position size? What will cause you to get out altogether? What will cause you to increase your position size? What would be a better opportunity? What are the fundamental risks likely over the next 3 months of shorting AUD/USD? Answers could be from charts or fundamentals and must make sense within the context of your strategy and risk management plan. Based on what I read from currency analysts, Fed is aggressively raising interest rates over the next few years and the Australian central bank is not. So I guess it is quite unlikely that Aussie will get a chance to bounce too much higher. Based on the above, I fearlessly open short positions (may be too heavy, I lost all my money 10 years ago for the same reason). I close them whenever there is a $50 profit (for each regular lot). And every time, Aud bounces a little higher, I short it again. Honestly I don’t know how much longer this can last. 70cents to 1 Aud seems to be pretty cheap already. I doubt it can fall below the high 60s. But the greenback has two more years of rising interest rates, it is very uncertain what is going to happen in a year from now. For the next 3 months, I guess shorting Aud is still ok. I guess the best advice I can give you, is get and read a copy of Alexander Elder’s “Come into My Trading Room”. 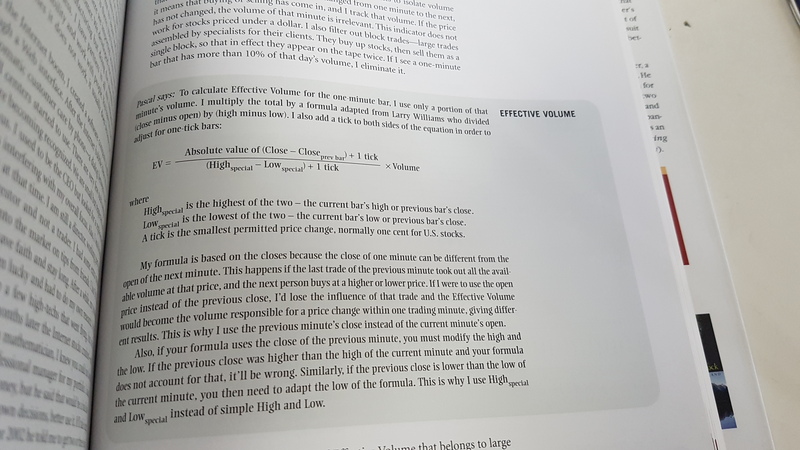 That might help you to get your trading organised, like it did for me. Why would that be ? Massive debt and every raise in interest rates is intentionally lowering the US Govt’s power to even pay the interest - DEFLATIONARY ! You mean this one? A nice book to read. I read Entries and Exits as well! I would recommend it! I believe that’s his most recent book. @Falstaff, I was influenced by Yahoo finance too much. If that assumption was not true, it could mean a big reversal for currencies like EUR, GBP and AUD, right? I’m not sure - there is something very odd going on with interest rates and banking atm - I’ve been thinking about starting a thread on it ! Classical Economics relates “Interest Rates” to “Bonds” currency strength and inflation. That seems to be of lesser relevance nowadays - ! Nowadays I believe “interest rates” to be something of a red herring - we’ll see ! Thank you for your insight @Falstaff. I remember people used to say USD and oil prices have negative correlations. Now USD and oil prices rise at the same time. So these things mislead people so the big banks can make good money. How ironic the AUD should get such a boost yesterday right after we chatted. It reversed my unrealised profit into an unrealised gain, but that’s very much because I had pyramided my trades shorting AUD and NZD so the differential was multiplied. Surprisingly, none of my stops has been hit and none of the charts have gone so much the other way I should (yet) consider manual closes. Out of curiosity, I discovered this is all down to an unexpectedly strong Australian jobs report. I also read the bullish impetus this has given to the AUD is unlikely to be lasting, so let’s hope us AUD bears have a little longer to play tjhis game. Hope you and everyone else came through yesterday OK. I was referring to a different Alexander Elder book, but I’ve heard good things about this one. 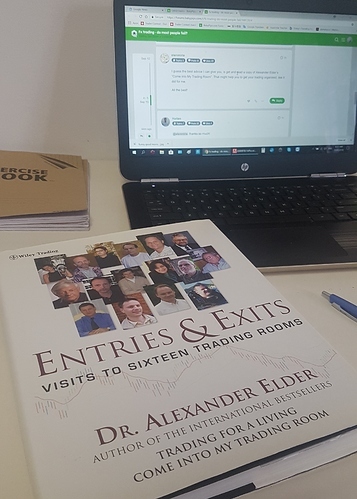 My current reading list is: “The New Trading for a Living”, and “Entries and Exits” both by Dr Elder. Maybe I’ll start a thread for fans of Alexander Elder… it seems there are a few of us on here. The market always tries its best not to be predictable/repeatable. It can be nice to you and makes you feel making money is so easy. But once there is a chance, it takes away all your money with a few wild swings. However, if you strongly believe you are with the big trend, anything that disturbs is supposed to be short lived. Now I still believe we will see lower lows for the Aussie in the coming months. I might be wrong. Your own trades can answer your question. Look at your trading history for the past six months to a year - if you are pleased with the percentage of your profits and your progress, then you are not just lucky. I will see you there if you do. Hey H, welcome. The market gives and takes nothing, it just is. The moment we anthropomorphize the markets our thinking will be skewed. We give our our money back to the “market”, it takes nothing. Remember all markets are made up of people, with the same fears, greed, anger, and euphoria as we have, our goal as traders is to have more control than the other guy, guys, gals, whatever. I think in the next couple of days I will write something comprehensive about this, it might be interesting for us to see what we come up with. Sounds like a successful trader should be someone who rigorously executes an action plan. Making sense of the price moves and placing one winning order is not that hard compared with having control on all aspects of trading. One thing I often experience is I do the opposite of what I was planning to do when I see something unexpected, which turns out to be a losing trade. So sometimes I ask myself if I were the markets, what would I do to have most investors make mistakes? I try to learn from that perspective. Anyway @TradeViper, I look forward to your writing about how anthropomorphizing the markets skews our thinking. Thanks.